Down feather beds provide an additional layer of comfort between you and your mattress. If your bed produces more aches and pains than dreams, a feather bed is a good solution. Feather beds should last for many years, depending on the quality of the feathers, properties of the cover and use. 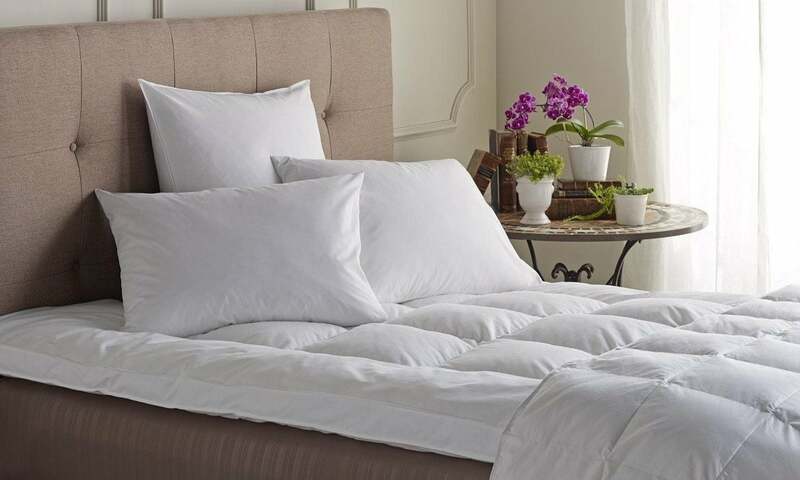 This article should help you get a grasp on how to clean down feather beds. The first style of feather bed is composed of feathers inside a baffle or square-channeled bag. The other is a pillow top, fashioned similarly to a pillow-top mattress: The bottom layer has several inches of regular feathers, and a top cushion is attached that contains only down, the softest of feathers. The first kind of feather bed is almost like a down comforter, only with much more fill. The second is closer in composition and density to a mattress and is heavier. The majority of manufacturers suggest professional dry cleaning. Some businesses clean down specifically, but it is costly; you might pay as much to clean and refurbish your feather bed as to buy a new one. Wash inexpensive, lightweight down feather beds on your own but with caveats: You may ruin the feathers and the loft. Use down soap and follow directions. Select a soap that won’t leave a residue. Use cold water in a large-capacity washer and put the feather bed through the spin cycle more than once if you can. Dry it in a warm dryer and expect to run it at least three full cycles. Clean your pillow-top feather bed in a couple of ways. Use a spot-treatment fabric pen for small stains. They remove most food-related stains, but organic stains will probably leave a mark. Another method is to use a slightly dampened cloth and diluted cleaner. Dry the feather bed with a thick microfiber drying cloth. Allow the feather bed to air dry completely before you place it back in its cover. Hang it on a clean railing outside in the sunshine and keep flipping it around for loft. Buy a protective cotton cover when you buy your feather bed. They’re easier to clean than entire feather beds.